Las Vegas, Nevada is the Entertainment Capital of the World! People from all over the world visit Las Vegas because it is an adult playground full of entertainment for all ages! There is something for everyone, no matter what your taste is and the history behind all the enterainment magic is phoenomenal. Vegas The Show is amazing in bringing this iconic history alive on stage nightly. It is as though we turn back time and are relieving each performer, each moment, each show and each decade as though it were in the present day. David Saxe celebrates these special moments of the Las Vegas entertainment history with an amazing cast of 51 singers, dancers and musicians. There is even a magician! These performers are some of the best singers and dancers that the nation has to offer, some even performed on Broadway. David Saxe has showbizness in his blood. His father was a well known band leader who performed with many acts including the world famous "Rat Pack". His very talented mother was a dancer in Folies Bergiere when the show was at the Sands Hotel and Casino. She was such a dedicated dancer that she even managed to perform while pregnant with David in 1969! When David was just the age of 17 years old he became the youngest producer known by producing his sister's show, Melinda the First Lady of Magic. David Saxe has produced more than 100 shows during the past 20 years. Vegas The Show, begins with a custodian pushing a broom on stage and manges to turn back time and bring past legendary performers alive. What's interesting is that the performers, although entertaining, are not look alikes. They did not want to take away from these past iconic performers by mimicking. What makes this show a one of a kind and different from many other Las Vegas show, is the fact that they took original acts and bring in a touch of humor. For example, Elvis is performed by an amazing blonde man who jokes with the crowd about being blonde. This is humorous, and entertainming because he brings Elvis alive and captures the memory but doesn't attempt to replace The King. When the show brings alive Sammy Davis Jr, the crowd is amuzed with dancers wearing unique almond joy costumes and while Sammy is singing, chocolate is thrown out to the audience during the ever famous "Candy Man" song. Of course, the show would not be complete if it wasn't for Elton John and his "Rocket Man" song. 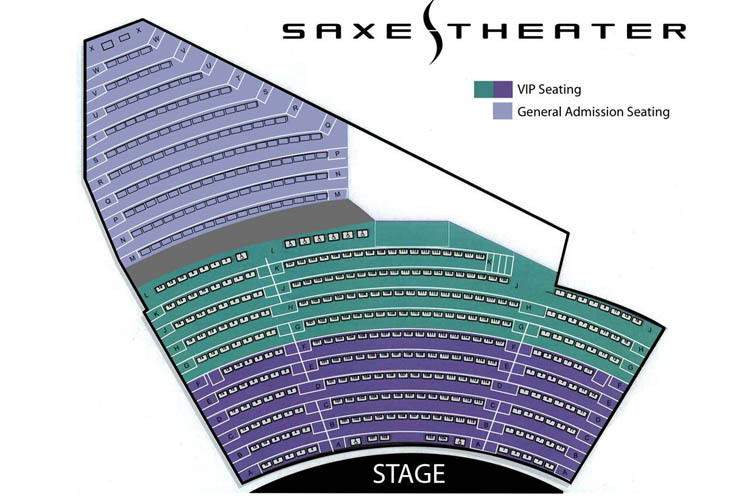 Las Vegas The Show can be seen nightly in the Saxe Theater located at The Planet Hollywood on Las Vegas Boulevard. Showtimes are 7pm and 9pm seven days a week. Tickets start at $59.99. 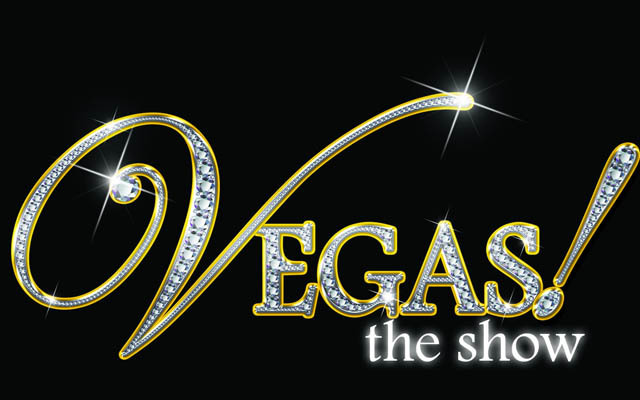 Las Vegas The Show is for all ages and is indeed a must see. 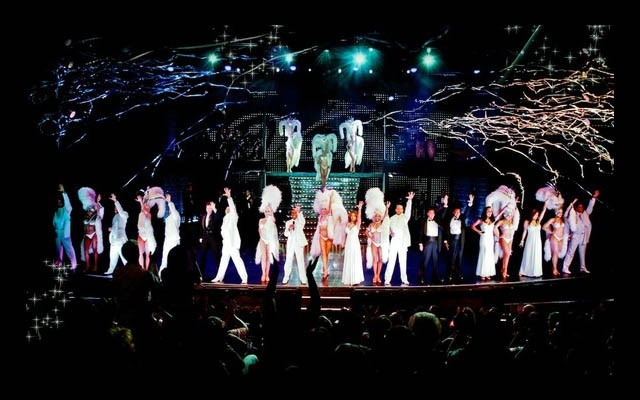 Not only is it entertaining, but it brings back some of the memorable moments in Las Vegas Entertainment history. The history of Vegas may be a lucrative one, but Vegas! The Show does a fine job of pulling all of the happier bits and throwing them on the main stage at Planet Hollywood. The music was nothing short of captivating while the performances, straight down to the background dancers, were a thrill to witness. The show takes a turn for more of a "Variety" show with a magician that, while entertaining, seems fairly out of place. If you've ever wondered what real Vegas showmanship is, check out Vegas! The Show.